GOES TO ELEANOR "BOBBIE" LANAHAN FOR "THE NAKED HITCHHIKER"
Filmmaker Eleanor 'Bobbie' Lanahan became the eighth recipient of Vermont's Goldstone Award for her film 'The Naked Hitchhiker' at a ceremony Friday evening, Oct. 13 as part of the Vermont International Film Festival in Burlington. 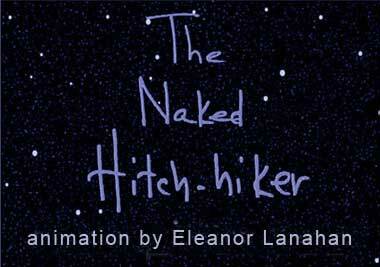 Lanahan's animated film takes viewers on a personal journey into the heart and mind of the main character to see her inner workings ' literally. The protagonist, for whom the animated movie is named, wanders onto a road (naked, of course) and is picked up by a kind-hearted truck driver. Explaining what she was doing naked in the woods takes a long time, but time and coffee are two things of which the overnight driver has plenty. So starting from the very beginning ' her delivery by a stork that is ' the hitchhiker begins the story of how she ended up in the woods. Throughout, the film uses innovative visual techniques to tell its story. Although nearly all the action takes place in the truck as the two drive, her thoughts are illustrated as she speaks. Describing her heartbreak, she becomes a heart, and we see her checking into a doctor's office where many other hearts are also waiting for care. She claims she's a broken heart, but the doctor says only bruised. When she feels small and humbled, she actually becomes for a moment a two dimensional shadow of herself on the truck's passenger seat. Lanahan told arts paper Seven Days her approach is a 'tapestry of emotional and spiritual metaphors.' Her film was completed this year, partially with the help of a $3,000 grant from the Vermont Community Fund, and has been six years in the making. The Goldstone Award has been given every year since 1999 and is named for Vermont native James Goldstone. After a long career in Hollywood, including an Emmy award for best director, the films 'Rollercoaster' and 'The Gang That Couldn't Shoot Straight' and the pilot episode of 'Star Trek,' Goldstone returned to Vermont where he later served as first president of the Vermont Film Commission's board of directors. Goldston passed away in 1999. 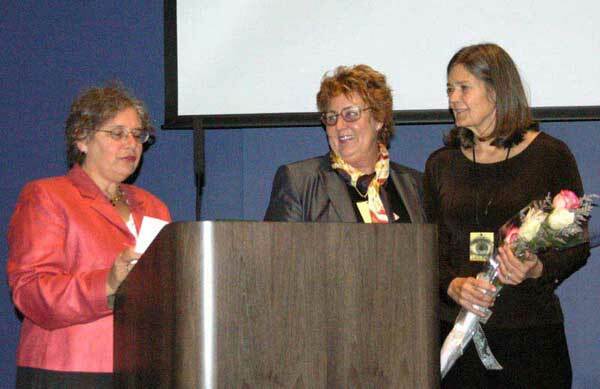 Each year since then, the award has gone to an emerging Vermont filmmaker in honor of Goldstone's dedication to nurturing aspiring filmmakers. 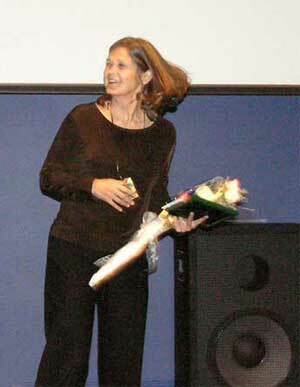 The award was delivered by Vermont Film Commission Executive Director Danis Regal, who praised Lanahan's work. This year, more than 50 Vermont made films were shown at the Vermont Film Festival. Almost 30 were Goldstone contenders, a far cry from the first year when commission chairman Bill Stetson said the group had to 'scour the state' to find entrants. 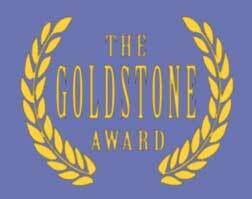 Previous Goldstone winners have included last year's 'The World Outside' by Rutland native Josh Lind, 'Beyond 88 Keys' by Sue Bettman in 2004, and John Douglas's 'Da Speech' in 2003.